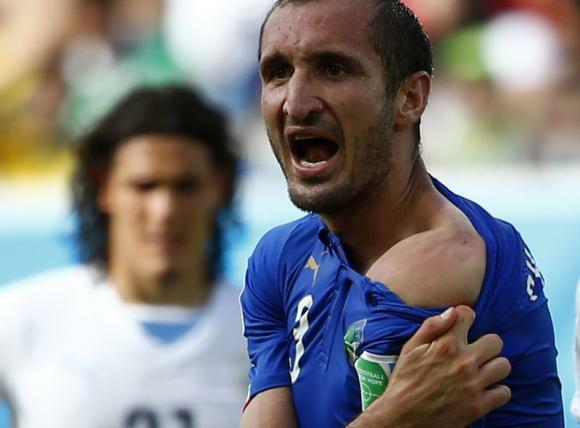 Italy’s Giorgio Chiellini shows his shoulder, claiming he was bitten by Uruguay’s Luis Suarez, during their 2014 World Cup Group D soccer match at the Dunas arena in Natal June 24, 2014. FIFA is investigating the incident which has become a worldwide talking point, and Suarez, twice previously banned for biting, looks likely to be hit with another lengthy suspension despite escaping punishment during the match. 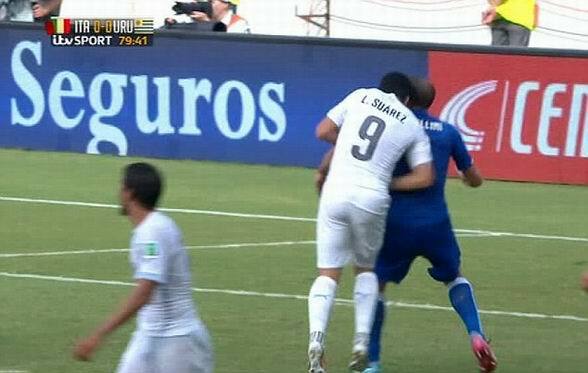 You’ve got to feel sorry for Giorgio Chiellini. 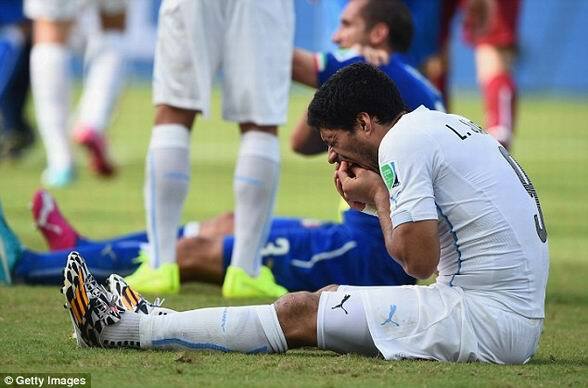 No sooner have you calmed down from being bitten by Luis Suarez, now pictures making fun of your pain have been posted all over Internet.